I heart Carlisle Clan Conversation. Today I am so excited to introduce you to the sweet and encouraging Jenni. She is a never ending source of encouragement, inspiration and laughs. I love the way she mothers her beautiful children so intentionally. She is raising them to think outside of their lives. To give. To be servants. Texas is so lucky to have her. If only it wasn't so darn far away. So today, as we head into Thanksgiving, Jenni has a beautiful, affordable and easy project to help your family document all of the many reasons to be thankful. Thanks Jenni!!! I heart you!!! Not just because you sent me a stack of VIA coupons either. When Julie asked me to guest post in her Monday series I replied asking if she sent the email to me accidentally. I'm not kidding. Julie was one of the first blogs I stumbled across a few years ago and her transparency warmed my heart. As we would banter by email back in forth in the wee hours of the night, I knew it was no accident that I found her blog...I'm pretty positive everyone who reads her blog is nodding. I in all my nerdy theatrics knew we were kindred spirits, she my Diana and I the ever awkward Anne. So now that you know I'm a night owl, adore Julie in a non stalker way, and have an affectionate connection to Anne of Green Gables you may want to know some less random stuff too. I love Jesus. I am married to my high school sweetheart, Randy and have two children Caleb and Isabella whom I am blessed to stay home and home school. 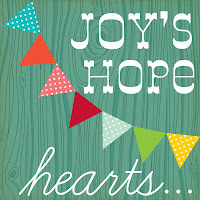 I love to blog (although my ability to do it often may challenge that), sew, craft, and coupon. Like I said I love to decorate on a budget, as in if I want to decorate it needs to be on a budget. Therefore The Dollar Tree and Target Dollar Spot are my friend. Step 1: Glue styrofoam to inside middle of container. 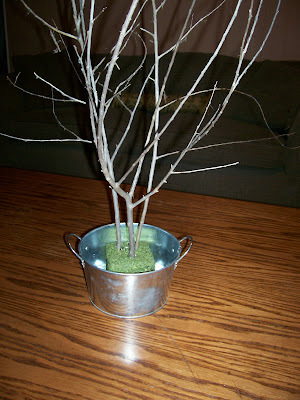 Step 2: Insert branches in styrofoam. 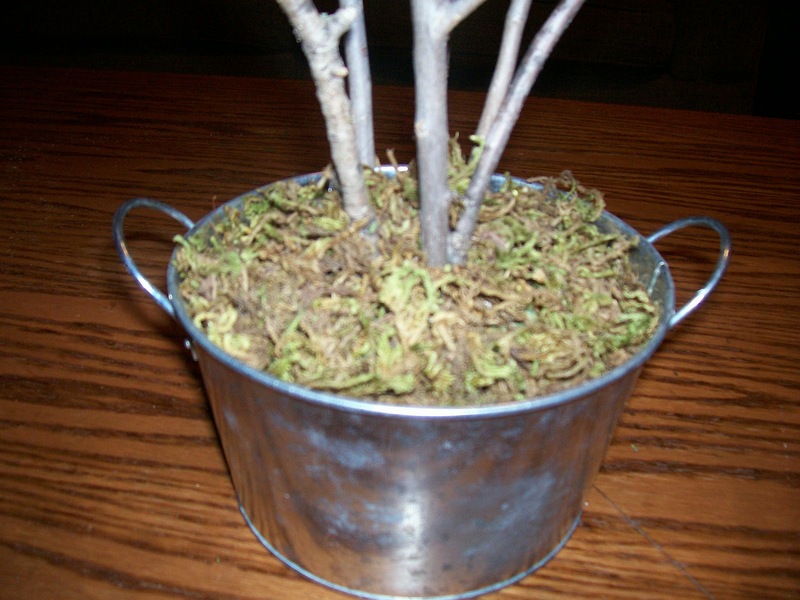 After you are satisfied with how it looks, pull them up and apply hot glue in holes and return branches to secure them in styrofoam. Step 3: Glue moss sparingly to base of container around styrofoam. 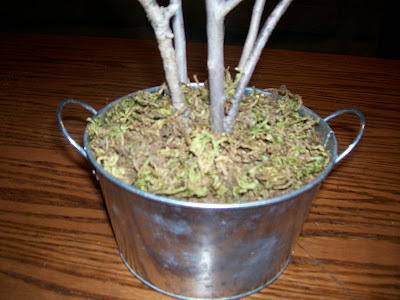 Once completely covered, apply another layer of glue and remaining moss. One small bag should be sufficient to cover entire base of small container. At this point your tree is finished, unless you would like snazz it up a bit. 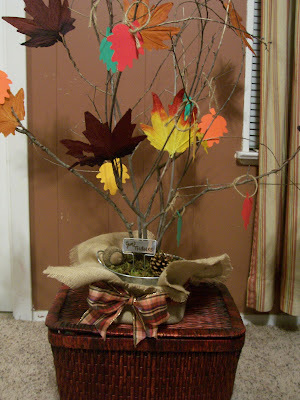 Step Snazz It Up: I wrapped random branches in red, yellow, and brown craft leaves. I then cut a scrap piece of burlap and frayed the edges. 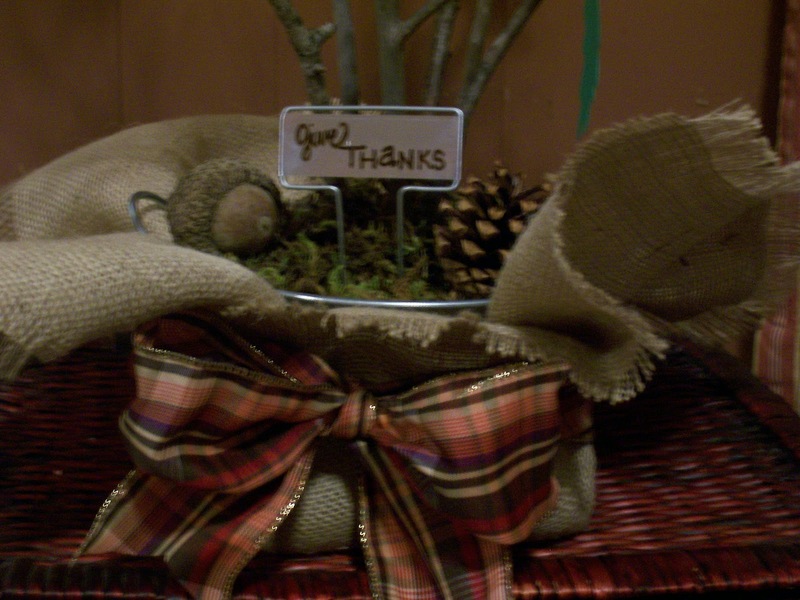 I secured the burlap to the outside of my container using twine and then covered it with a wire ribbon in Autumn colors, tying it into a bow. Next, I hand wrote 'Give Thanks' on a metal garden marker and stuck it in the styrofoam, centered to the bow. Lastly, I added a mini pine cone and and an acorn at the base of the branches to finish it off. 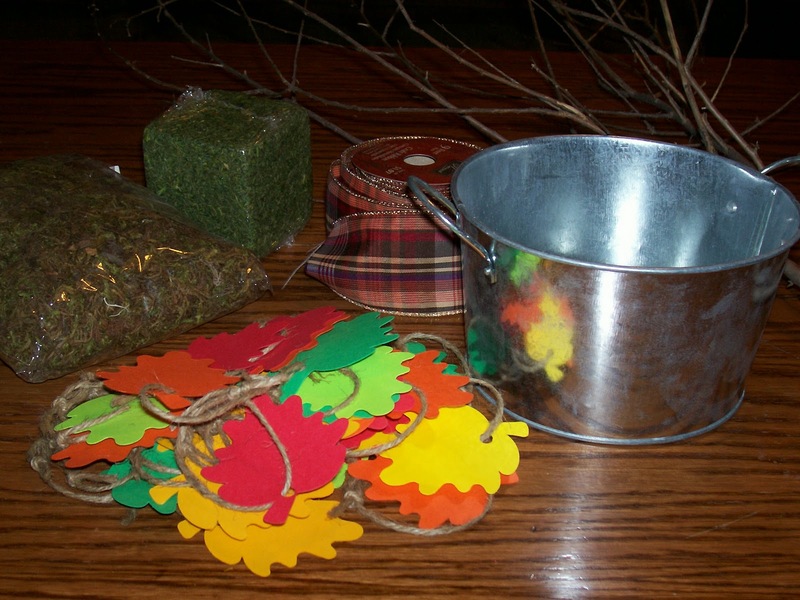 Once you have assembled your Thankful Tree it is time to give thanks. 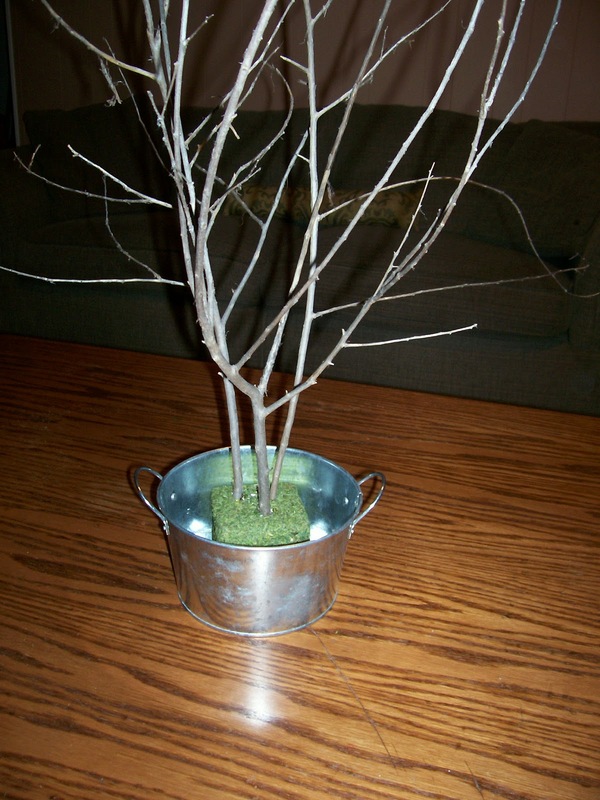 I keep our paper leaves in a metal tin next to our tree with a marker. Each evening we talk about our day highlighting what we are most thankful for and write down one thing we are thankful for and add it to to the tree. By the time Thanksgiving rolls around your tree is in full bloom and you can spend time that day being thankful by reading all your leaves! And don't forget to save the leaves so that you have them to cherish over the years. Julie is definitely written on one of MY thankful leaves! Jenni, you for sure need a place on my thankful leaves as well. 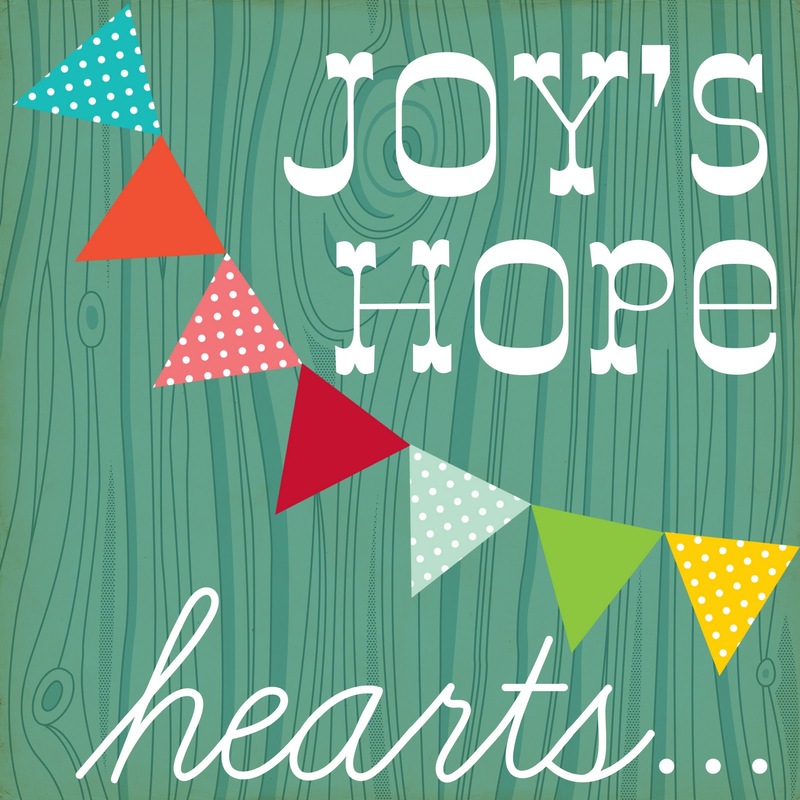 Make sure to stop by Jenni's adorable blog and say hello. Then visit her brand new Etsy shop, Ragamuffin Beauties. This Texas gal has been busy, busy, busy, making pretties that would be perfect gifts to give and treats to keep. Be THANKFUL this year for all that is abundant in your life. Be THANKFUL this year for all that is abundant and beautiful in your life. 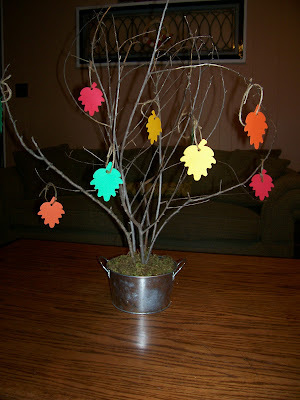 What an adorable Thankful tree! Thanks so much for sharing! i heart jenni too!! she's a bloggy blessing to me. love this craft miss jenni! Jenni is a wonderful friend to have, indeed. I have enjoyed getting to know her. She brightens each day. The tree is pretty awesome too! I love this idea and can't wait to check out Jenni's blog. Love it. Love her. The end. People like you and Joy should just run away together. Mad skillz. Mad crafty skillz. iiiiiiiiiiiii heart this thankful tree so much! thank you for sharing!